Raymond E. Conover, 91, of Cogan House died Friday, January 25, 2019 at UPMC Susquehanna Williamsport. Surviving is his loving wife of 66 years, Peggy Anne (Collins) Conover. Born May 5, 1927, in Linwood NJ, he was a son of the late Raymond and Rose (Skull) Conover. Raymond proudly served in the United States Army during the Korean War. He was a self-employed Oil Salesman for 25 years. Raymond was a member of Christian Church at Cogan Station. He enjoyed hunting, fishing and woodworking. 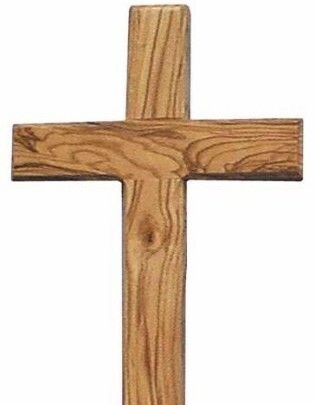 He was especially known for his handmade wooden crosses passed out at his church. Surviving in addition to his wife are three children; Edward Conover (Louise) of Trout Run, Frank Conover (Amy) of Ocean View NJ, Linda Rea (Jerry) of Williamsport; six grandchildren and six great grandchildren. In addition to his parents he was preceded in death by his siblings Martin Conover, Alice Meanner, Elizabeth Mathis, and Rose Marie Ralston. A memorial service to honor the life of Raymond will be held 10:30 a.m. Tuesday, February 5 at the Christian Church at Cogan Station with Rev. Mark Beard and Pastor Bud Yoder officiating. Burial will follow in the church cemetery. In lieu of flowers memorial contributions may be made in Raymond’s name to the Christian Church at Cogan Station, 5904 Lycoming Creek Road, Cogan Station PA, 17728.